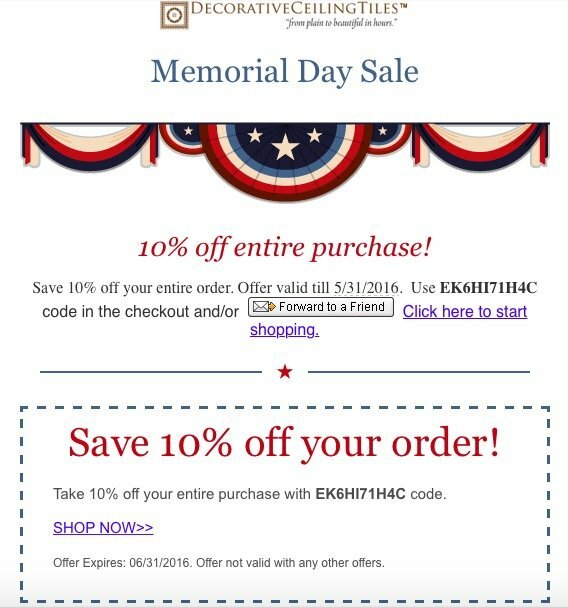 We have been working with Milan, over at Decorative Ceiling Tiles for a long, long time now and do not remember the last time we saw him advertising 10% OFF everything in his store. 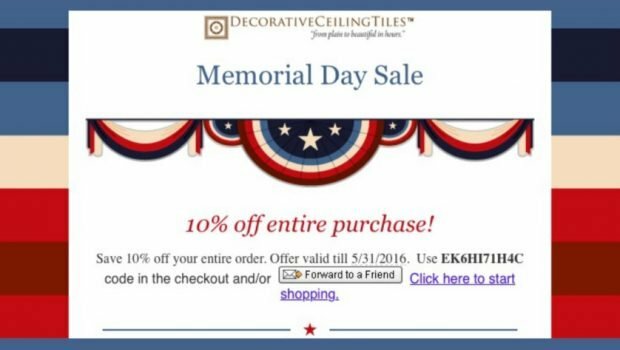 So if you have been considering ordering ceiling tiles, take advantage of this Memorial Day Sale. This is definitely the weekend to press the buy button! Are you listening Izzy? 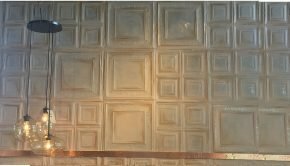 Installation of ceiling tiles not only makes transforming your popcorn ceilings from ugly to beautiful in just a few short hours, this weekend they are now even more affordable! Personally, we like a simple classic look and for most ceilings, using foam or faux tin, will be perfectly adequate. You can keep them white or if you have the time and energy, you can paint them whatever color you like >> think black ceilings or even red ceilings! 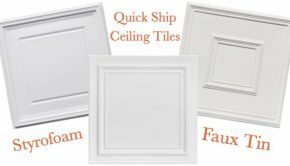 Summary: Decorative Ceiling Tile Memorial Day Sale! 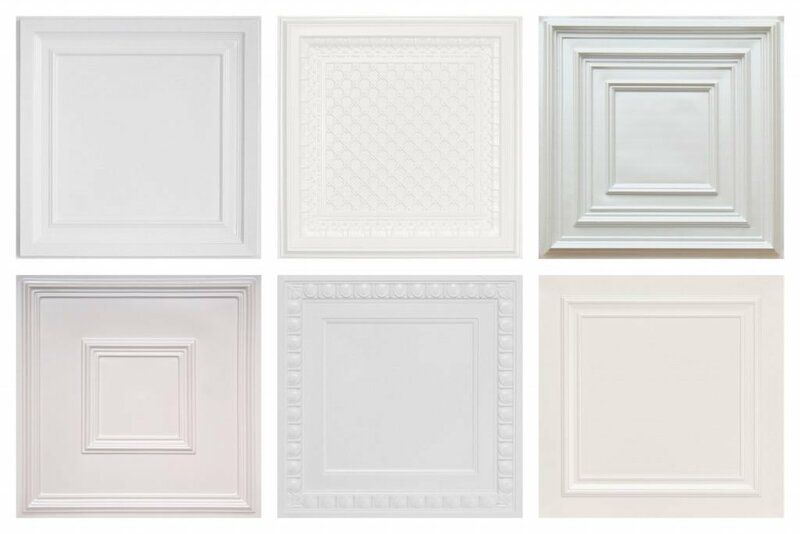 Installing ceiling tiles over your popcorn ceilings is not only easy it is now even more affordable!